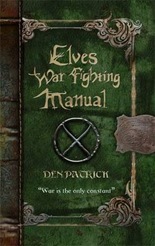 Forming part of a trio of ready-made illustrated sourcebooks (the other one is the Dwarves War Fighting Manual), this new series from Den Patrick (and Andrew James as illustrator) does something slightly different to the norm, and with a classically dry and clever touch of humour. 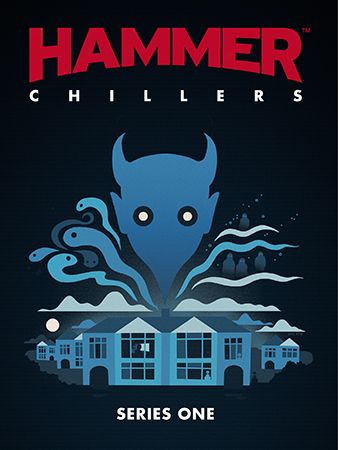 Designed as smart, small-form hardback books, theyâ€™re also quite handy and compact, and a genuine joy to read â€” a highly desirable collectible, in my opinion. All three books are written by noted scholar and Anthropologist Royal, Sebastian Venghaus, who was fortunate enough to spend a year alongside the leader(s) of each of these classically myth-based races, and compiled numerous eyewitness accounts of events, knowledge and wisdom during his time with them. The texts are littered with footnotes, small asides, and occasionally irascible observations, but these help to characterise Venghaus as a typically aloof and ignorant man, adding immeasurably to the overall fun factor. Herein we have histories, myths, philosophies, tactics, references to weapons, armour, terrain guides et al, and The Elves one in particular is full to the brim with talk of crafts and sacred arcana, and is apparently a translation of Aelfir Na ShÃ¥in Tiir (The Aelfir Art of War) â€” recommended reading for any aelfir called upon to fight. It also includes a full historical account of a great battle between Elves, Orcs, and Men, forming the conclusion of the 35-year Asaanic War. 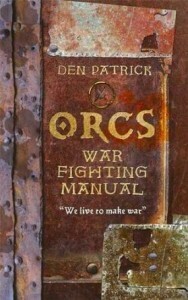 The Orcs War Fighting Manual, by contrast, is a full history of the Orcs at war, the structure of the tribes, their code and values, and takes a look at their field tactics, weapons, armour, etc. but from the point of view of one Kani Breakspeare, an Ur-Khagan (aka Very Great One, usually leading two or three tribes). Weâ€™re also treated to his opinion on goblins, trolls, shaman, and magic, together with another historical account covering a great battle linked with the end of the Asaanic War (as detailed in the Elves book). I confess, one canâ€™t help feeling that author Den Patrick has gathered together his research and notes for a new project/fantasy world and then decided to save himself the bother of actually following through with the writing itself, but thatâ€™s slightly unfair. The world, the races, and even the mythology behind its formation are blended together so well â€” so seamlessly â€” that we are transported to a ready-made environment open to whatever quests and adventures we please: this is fan fiction universe-building at its very best. Oh, and yes thereâ€™s an obligatory map, of course. If I have one complaint itâ€™s that the art in places is a little suspect, akin to fan art from decades ago, but these donâ€™t detract from the work as a whole, and in fact the detail on the armour and weapons is very good most of the time.